Rare, original, GPO antique bakelite telephone. Fully restored and working. 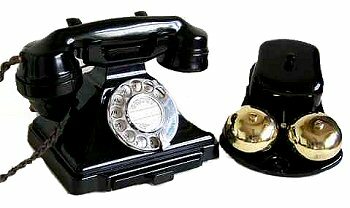 This is one of our rarest telephones, supplied with an external bell and the necessary cables for easy installation. This is the classic 1930s British desk telephone (232), lovingly restored to a beautiful condition. Supplied with a modern BT plug as standard. All telephones have a 12 month guarantee. We also offer a full repair service.